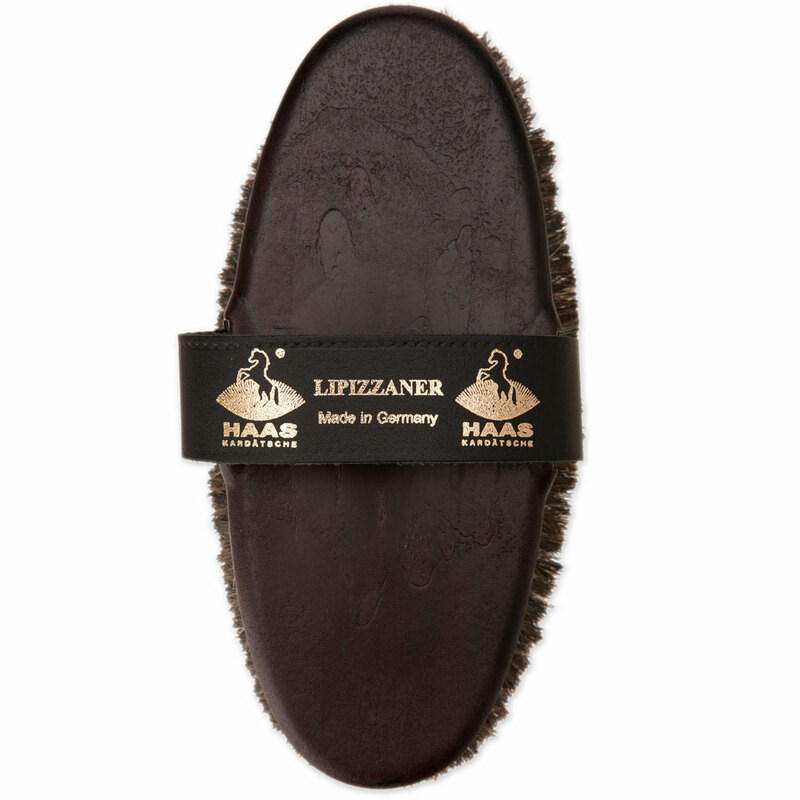 The Haas Lipizzaner Damen Brush will soon become your go-to brush! 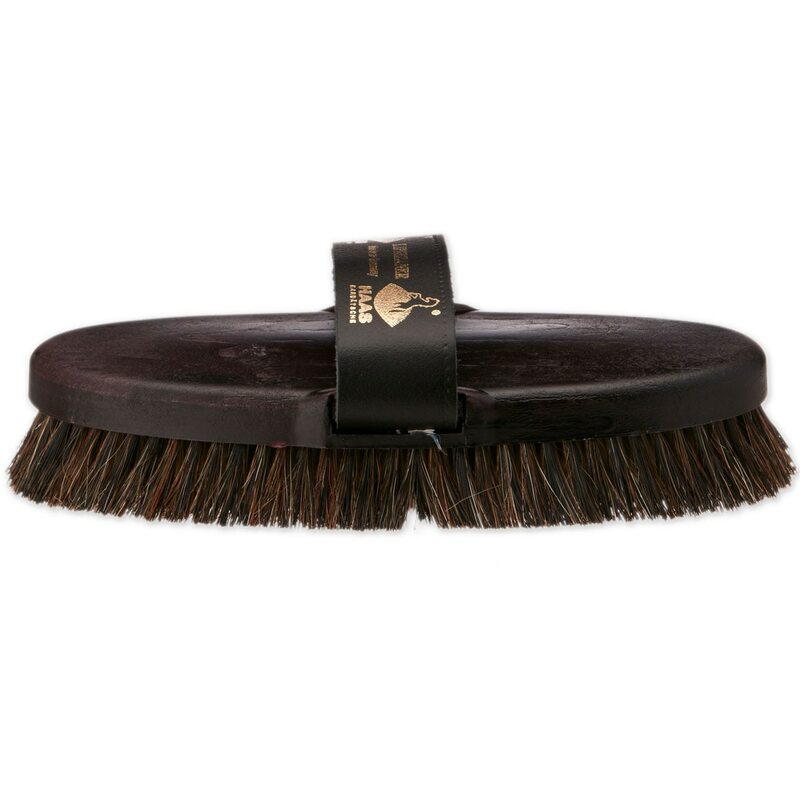 This one of a kind brush is made up of an exclusive horsehair mixture, with strength and elasticity that prove its high level of quality. 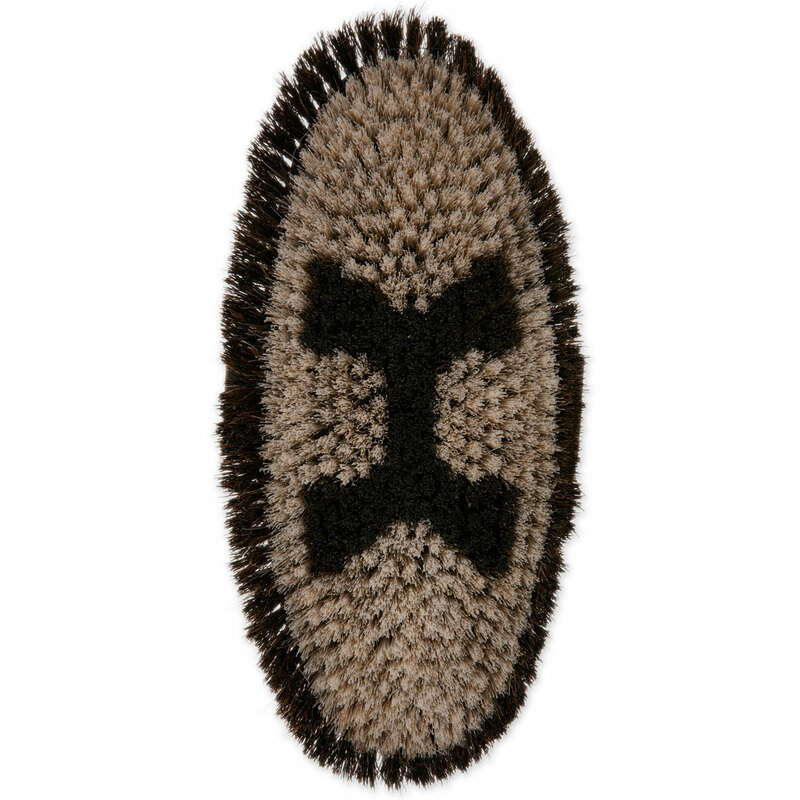 The border is lined with longer bristles which work to remove dust while the shorter bristles in the center provide a more gentle cleaning and lasting shine. It truly is a one sweep deal! Haas Lipizzaner Damen Soft Brush is rated 5.0 out of 5 by 26. Rated 5 out of 5 by Bellasmom from Love! I. Love. This. Brush. I wasn’t sure about paying that much, but I’m glad I tried it. It really does make brushing easier. I noticed a lot more dirt and sand comes out with each swipe than other brushes and the design makes it much easier for my little hands to hold onto. Makes brushing a delight, and my sensitive skinned mare seems to love it too. Rated 5 out of 5 by LeeC from Sensitive DIVA horse loves this brush I adopted an OTTB who seems to demand the best of everything! He complained about being groomed when I got him, but he is much more accepting now because I use this brush on him almost exclusively. He is turned out all the time and gets muddy and gross, but this brush will take off the mud with just a few back and forth passes. It leaves him shiny and happy. Can't say how long it will hold up, because I've only had it four months, but it is like new at this point. I wash it about once month. LOVE this brush! Rated 5 out of 5 by displacedtexan from Dream Brush Terrific construction with great bristles. Love how it cleans up our warmblood. Rated 5 out of 5 by Kole07 from What a difference! I bought a set of Haas brushes to replace my dilapidated Osters. I would go over the same places countless times and still find more dust. Not with these brushes! One, maybe two passes, and my mare shines. Rated 5 out of 5 by KAD98 from Very useful brush This is a great brush, my mare’s a mud-roller with sensitive skin. This gets her clean and shiny without ruffling her sensitive self. Rated 5 out of 5 by Lisa1425 from Quality Brush! I bought this brush based on other reviews, and I was VERY pleased with the quality...just as described! Rated 5 out of 5 by Hayburner from Quality Brush ! I haven't used this on mud yet, but it does really help remove dust and my horse likes it. Expensive but the quality justifies the price. Rated 4 out of 5 by Equanimity from Super brush I had a hard time paying this much for a brush but the reviews were so good I gave it a chance. So glad I did! My mare is a roller and hard to keep clean but she shines after grooming--even now when her winter coat is coming in. Rated 5 out of 5 by California Kate from Expensive and worth it All other body brushes pale in comparison. Get deep dirt out easily. My horses love it and how well it fits my hands. Been buying body brushes for many years. This is the best!!! Rated 5 out of 5 by Noble76 from Splurge you'll be happy you did In my 30 years of horse ownership I've never spent thisuch on brushes. I bought the entire Has set for each of my two white Paints. These brushes are great quality, beautiful details and they work better than any brush I've ever used. Worth the money, you save it by not having to work so hard.